Note: While the methods described below are still valid, it is now possible to use SMB for FCP X, as described in this article. SNS is able to provide value added workflow features that greatly enhance production efficiency for our customers. Among the currently relevant video editing software, Final Cut Pro X (FCPX) is unique in the way that it manages files, media, and how it handles production environments with multiple users. 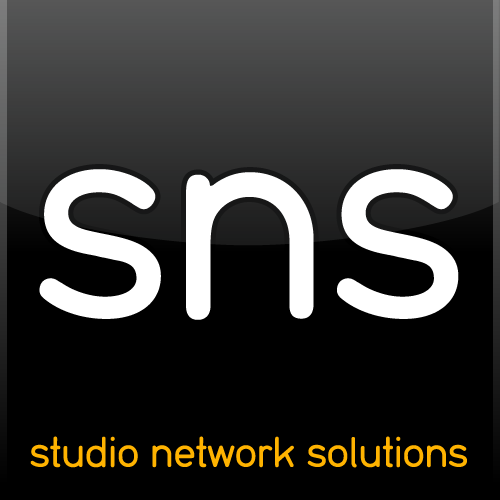 SNS’ EVO with ShareBrowser Server and Client software directly support FCPX Libraries while providing enhancements to networked workflows. While the below specifically refers to SAN volumes, note that media can just as easily be stored in a NAS share. With the rise in 10Gb accessibility, this has become a common deployment. ● FCPX 10.0.x relied on a user created folder as a ‘SAN Location’. 10.1.x and later use a package file called a ‘Library’. Both are managed by FCPX as a parent object also containing an Events object for imported/transcoded media and metadata, and a Projects object for render files and metadata in the timeline. ● The FCPX Library structure is automatically locked by FCPX for read/write use by a single user at a time. FCPX does not support read only access of a Library by other users. ● FCPX can import external media creating QuickTime Alias files in the Library > Events that point back to the external media. This allows the use of media files outside of the FCPX Library structure simultaneously by multiple users without copying. ● FCPX can import and export XML (Event and Project metadata) between Libraries. ● The FCPX Update 10.1.2 adds a Library Properties Inspector in which users can specify separate storage locations for Event Media, Project Cache (timeline renders), and Library backups. This enables current FCPX workflows to take advantage of more of EVO’s features, as described in more detail below. An FCPX Library, also referred to in this document as a Production Library, is akin to a Final Cut Pro 7 Project file, except FCPX Libraries can also contain media within its own object, where FCP 7 projects only generated media to external folders using Capture Scratch Settings. With this in mind, the term ‘Production’ can be thought of in various organizational ways: per Library, per Client, per Job ID, per Episode, per Season, etc. As stated earlier FCPX 10.1.2 gives FCPX the added ability to also act like FCP 7 projects, generating media in external folders from the FCPX Library, giving users more options. There are several configurations available when designing an EVO to support FCPX Production Libraries in a shared environment. Many of these can be combined in a hybrid approach with various combinations in use. ● SAN Volume per Production ­ In this approach, volumes are assigned to a specific Production (per Client, Reel, Episode, Job ID, etc. or combinations therein). This uses a traditional SANmp volume locked scheme and works well when the media is unique to a production or logically separated within an overall production. The user simply mounts the SAN volume containing the production assets required to perform the necessary work. ○ FCPX Production Library (incl. all Event and Project media) per SAN volume. Volume/Library access passess from one user to another as required. ○ Production media per SAN volume. Import or transcode media to a Production Volume with the FCPX Library Properties Inspector. ○ Event media on a Production volume can be imported without copying for use by multiple users to read from. Users write to Production Libraries on other volumes in a hybrid of configurations below . ● SAN Volume per User ­ In this approach, each individual user is assigned their own SAN volume. This configuration is often used in educational lab environments, allowing students the ability to work on their own volume from any computer, or where productions are assigned to a single user for completion, but they might use different computers depending on the day or task at hand. Storing multiple FCPX Production Libraries on a single user volume is similar to storing the Production Libraries on your local disk, but adds the benefit of portability within the workgroup, RAID protection for parity safety, and enables centralized backup and archive. ○ User volumes are accessible from any computer on the network for better mobility in the facility. ○ This scheme can also be deployed in combination with Central Ingest as well as with Volume per Production, when the Production utilizes both shared and unique source files. ● Central Ingest for Media ­ In this configuration, one or more SAN volumes are dedicated for ingested material (imported, captured, or transcoded) to be shared among multiple users. Each volume has a single write user, with multiple simultaneous read users. In this scenario media is commonly ingested at a central point, like from an Assistant Editor / Logger, or dedicated Ingest system. After ingest, Editors can import media to their active FCPX Production Library without having to copy the media, using alias files pointing to the Central Ingest locations. ○ Shared source media is imported into FCPX Events with alias files pointing to the Central Ingest volume(s). ○ FCPX Production Libraries are stored on a user’s local disks (SATA/eSATA, Thunderbolt, etc) or in a SAN Volume per User configuration for better user mobility across systems along with Central source media. ○ Useful for workgroups that need to share common source media, more than Production Libraries. ○ Useful for workgroups with a dedicated ingest system or processes. ○ Central Ingest volumes used for Event media with Multi­user volumes used for FCPX Production Libraries. ● Multi­User Volumes ­ For organizational needs, multiple Production Libraries can reside in the same user-defined parent folder and be independently locked by other users. Specific features in EVO and ShareBrowser Desktop Client are highly integrated with FCPX to make this configuration as easy and elegant as possible. It provides for workflows similar to those in a Multi­user, file­locked Xsan environment, but without the extra network infrastructure and management requirements. FCPX Production Libraries for the entire workgroup are stored in a central, shared location write accessible to all users. Using the native Library locking function built-­in to FCPX, any user can open a Production Library, at which point FCPX locks access of the Library to that user. When the user closes the Library it is automatically unlocked and is then available to any other user. *Note that since FCPX 10.1, attempting to open a library from one machine that is already in use by another will result in FCPX freezing for several minutes. This is not related to EVO, but is known to happen with any NFS storage. In order to prevent this, the library should be closed on the first machine before attempting to open on a second (simply exiting Final Cut without first closing the library will not prevent the behavior). ○ Multi­User volumes used for FCPX Production Libraries enable more dynamic hand­off and collaboration at the Production level with Project information and rendered media. ○ EVO natively supports the NFS protocol for Multi­User volumes with FCPX. ○ Multi­user write access to the volume for easily exchanging access to Production Libraries and XML about Events and Projects between editors. ○ Also good for less demanding assets like images, graphics, music and sfx, but slower than SAN volumes for higher stream counts or larger formats and codecs. ● Xsan ­ This configuration provides a multi­user write, file­locking environment where multiple users can access various Production Libraries in the same volumes and directories relying on FCPX native handling of locking Production Libraries. FCPX’s built­in locking mechanism was originally developed by Apple for use in an Xsan environment. EVO high performance LUNs can be managed directly by Xsan over Fibre Channel and Ethernet. This option is available for customers who are willing to commit the resources to build and maintain Xsan. It does require intimate networking knowledge of DNS, Directory Services, and Metadata networks. With the improvements to Xsan built­in to Lion, Mountain Lion, and Mavericks operating systems, it is clearly a developed component of the Mac OS and has become easier to setup. EVO with Xsan provides a unique set of functions that drastically reduce the hardware infrastructure costs normally associated with Xsan and can enable protocols that other storage products do not. For additional information on working with FCPX libraries, please see Apple’s FAQ. Read more about FCPX shared storage networking.